Well, this is not a good start when it comes to transparency versus secrecy in government. The Oregonian reports that the administration of Gov. 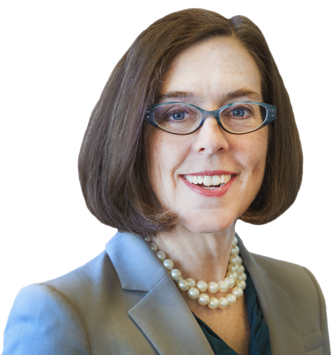 Kate Brown has launched a criminal investigation into the leaking of some some crucial Kitzhaber emails. And that’s a big mistake. In addition, two state officials who helped prevent the destruction of those emails were placed on leave last week, according to the Portland paper and website. The emails showed among other things that Kitzhaber was working on a strategy to blunt an ethics review of his fiancee’s actions even while he claimed publicly he wanted to fully cooperate with this review. The emails also revealed Cylvia Hayes’ plans to make money off her role in state government during and after Kitzhaber’s fourth term. The emails were leaked to Willamette Week, which reported on them. And last week, Michael Jordan, Kitzhaber’s director of the Department of Administrative Services, reportedly called the head of the state police to ask for an investigation of the leak. This is wrong. Thank God there are honest people in state government who wanted no part of hiding the Kitzhaber-Hayes plans. The public should thank them for making those emails public. The state administration should thank them for their courage in making them public instead of going along with the request to destroy them. When public officials deal with the public’s business, they have no legitimate expectation of privacy. Shielding their emails only makes possible dealings that cannot see the light of day. Did you really expect her to be different? I predict she will be even more underhanded than Kitz. Somehow, I’m not the least bit surprised. When I said in an earlier post that Kate Brown deserves our INITIAL support, I was essentially giving her one opportunity (and only one) to do things right. If she attempts to thwart this investigation at ANY level, then she is no better than the man she replaced and deserves our scorn and repudiation. I will not stand for this without making a lot of noise and I thank you Hasso for bringing this to our attention. Another issue I’ll be watching VERY closely. It’s time for the people to take back what the crooked politicians and special interest groups, including the public employee unions are stealing from ALL of us…..OUR GOVERNMENT. We need a Scott Walker type, in Oregon and in Washington DC. Very quickly we find out that the difference between these two self serving politicians doesn’t amount to the a warm bucket of spit. I’m assuming Ms. Brown has (most likely) or plans on conducting “the people’s” business in ways she wouldn’t want to made known to “the people”. It is not completely clear if the Governor and Mr. Jordan have even talked about this matter. I think it was Jordan’s timely execution of a public records request that blew this thing sky high a few weeks ago. As an attorney, Kate Brown probably holds the attorney client relationship in high regard and in this case likely has no problem with Jordan trying to figure out who broke that relationship by leaking the correspondence to Willamette Week. I’m not saying it was the smart thing to do in the eye of the voters, just telling you why it is likely happening.